Rapunzel-the-dentist dress rehearsal in progress. For two long weeks I have been waiting for this moment, when I could sit down and pour my heart onto paper, or the keyboard, whatever. The big sticky mess of frustration, anger, sadness and heartbreak has to be released. Who knew sugar could be the cause of something more than fat or diabetes. I have just spent two weeks saying no to my daughter. No, you can’t eat that. No you can’t have that, or that, or that. It was no, no, no. And it was hard! Act 1. I make an appointment for the kids at the dentist (they have never been). I very dramatically act out what happens to teeth if children eat sugar and don’t go to the dentist. I think I am very clever. Act 2. We take Lola and Lincoln to their appointment. As is customary, Lincoln goes first. He’s generally happy to be the guinea pig. After having his teeth counted, he has some x-rays taken of his fingers, his teeth, and his shoes, and hops off the chair to collect his well-done gift from the dentist. Act 3. Lola’s turn. After her normal warm up period we were expecting a little hesitation, we were not expecting wide eyes and head shaking. We were certainly not expecting frantic kicking, a blatant refusal to sit in the ‘space-rocket’ chair and then a hasty departure into the waiting room. I took it calmly, sat next to her and reiterated what I had said before, that children who don’t go to the dentist can’t eat sugar because sugar is bad for your teeth. Now at this point I was convinced I was on a winning streak, there is just no way Lola would choose to not eat sugar! Lola loves sugar more than life itself. If you ask her how her day was, she will reply with gushingly positive adjectives relating to the treats she received that day. If she had an incredible adventure but no treats, it will receive mediocre reviews. She lives for her food, for sweet food. To understand her decision you have to understand that. So back to the scene, Lola asks me if she can still have milk, to which I replied with my first flutter of uncertainty with the direction I was heading, yes. She agrees to the terms and signs up for no sugar. I was paralysed. I knew what she was doing even if she didn’t. All she could think about was how much she didn’t want to sit in the dentists chair. All I could think about was how on earth I was going to stick to my guns. Lesson 1 in parenting: Don’t make a threat unless you intend to follow through with it. This is vital. Any parent can tell you if you don’t follow through you are as good as a movie in a foreign language with no subtitles. They stop hearing you because what you say doesn’t matter. No follow through, no respect. With this crushing weight of what I had just begun, I hastily made another appointment for her for that Friday, she had 4 days to rethink her decision. I was sure I would win. No way she could keep it up. I was wrong. She started drinking banana ‘milkshakes’ (consisting of frozen banana, milk and cinnamon) and told me they were the most delicious things she had ever eaten. She turned her head when anything sugary was produced and requested dates and raisins as her treat. That was when I knew she was making a point. She hates raisins. 4 days of pig-headedness, of her sullen, joyless face every time her brother ate anything sweet, and still she refused to go. At this point I insisted she tell me when she was prepared to go, cracks were beginning to form in her resolve and I’d be damned if I let that glimmer of hope slip me by. She agreed to go in a week. With the appointment I could get that would take us to exactly 2 weeks after our first attempt. Let me reiterate, it was a long 2 weeks. This path is not for everybody, there were times I simply couldn’t bare her desolate face any longer and had to wrestle myself away from caving. 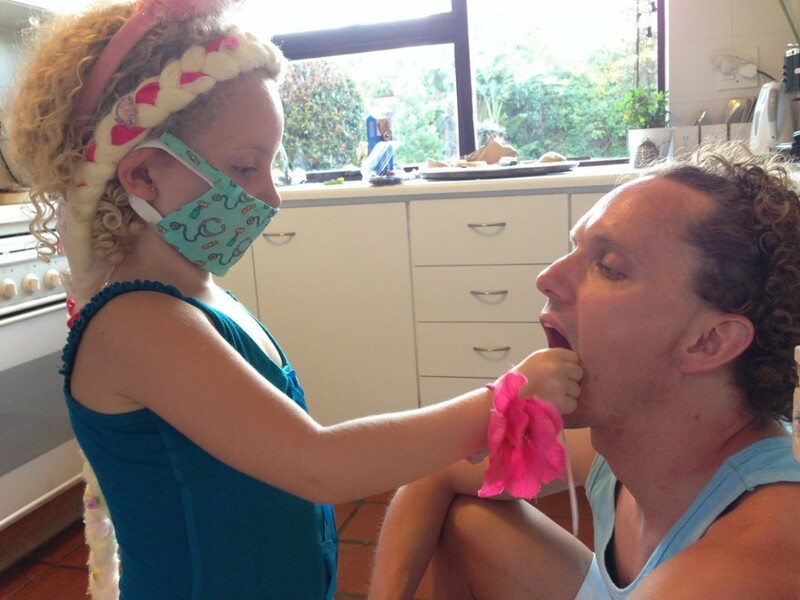 The only thought that kept me going was the knowledge that if I caved, there was absolutely no way I would get her to open her mouth at the dentist. That much I knew. So I soldiered on. No treats, biscuits or ice-lollies. No chutney with her dinner, no sugar or honey with her tea and no juice of any kind. There was nagging, sulking, complaints of it not being fair, but at no point did she get sneaky and help herself to treats out the pantry. What I realised through these trying 2 weeks, was how incredibly stubborn, but also how extraordinarily proud my 5 year old could be. She would arrive home from school with her baking wrapped up and hand it over for safekeeping. She froze her slices of birthday cake she received at parties and packed her sweets she was given away in the pantry. I hoped that if I let her hoard all of her treats it would eventually be enough of a temptation to get her into the blasted dentists chair so she could then devour it all. My intention was never to wean her off sugar, I don’t need that kind of misery in my life. During this time we didn’t make a point of keeping sugar out of sight because the whole objective was to tempt her to go, keep life normal, but in so doing I was forced to keep pointing out what was already a hard decision for her. It was constantly reminding her, rubbing it in, and even though it was hard for me, it was worse for her. It meant that instead of having a fight with your child, going to bed that night and waking up with a fresh start to a new day, we were waking up and fighting the same fight everyday. It was probably annoying and infuriating for her but it was heart breaking for us. No parent enjoys making their child sad, especially when it is purposefully done to try and get them to do something they are refusing to do. I felt like such a terrible mother. By the end of the 2 weeks I was begging her to go to the dentist. I couldn’t take feeling like such a horrid parent and I couldn’t take her sadness, her hiding away in her room when her brother and his friends were eating lollies, or her waking up at night, every night, being sad. 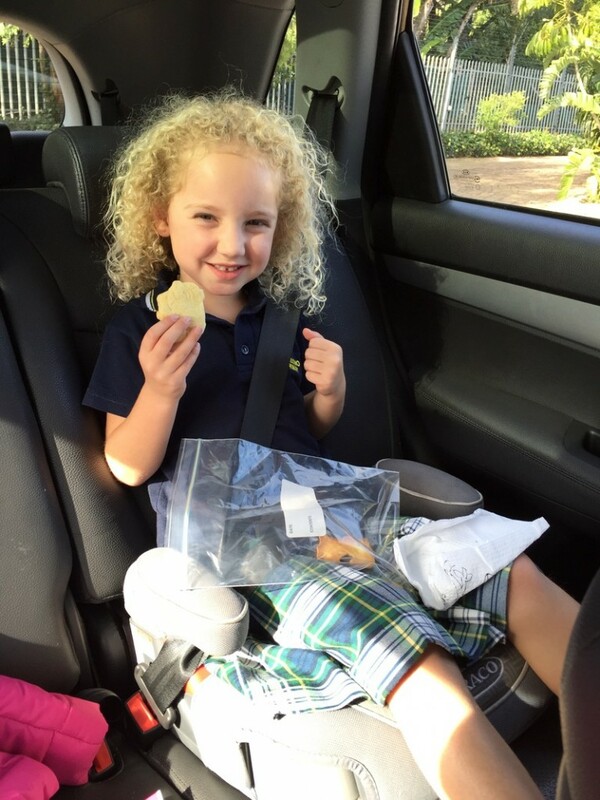 On the day of her final appointment, I arrived at school to fetch her with all the treats she had been amassing. I wanted every little bit of temptation to be there so she didn’t back out at the last moment. She was still hesitant, but she was prepared to lie on the chair, on top of me, as long as I opened my mouth when she did. After our tandem dentist appointment I was ready to go home and pop open a bottle of champagne. Finally, it was over! I learned that there is nothing I can be so sure of when it comes to my children. I might know them better than anybody else, but they still surprise me, everyday, sometimes in the biggest ways. You learn early as a parent to pick your battles, sometimes you pick them but you just don’t see the size or the strength of the army you are choosing to fight. This couldn’t have been truer of this battle. I had, without a doubt, underestimated the strength of the fight in this one. Luckily, through sheer gritting my teeth, Lola learned that refusing to do something has consequences. This lesson came at a good time as ‘no’s’ have been flowing fast and heavy in this house. I’m hoping that winning ‘the dentist’ battle will set a good precedent for the rest. I’m not sure I’m equipped emotionally to push through another battle like that one. On arriving the next day at school, I mouthed to her teacher that she had done it. There was a squeal of excitement and the classroom erupted in chatter and applause, Lola even tolerated a few hugs (not common). That evening I got a message from one of her classmates parents saying her son had reported back, with much relief, that Lola had now been to the dentist. All was right in the world… Until the next time. The first nibbling of sugar after 2 weeks!.. in the car post dentist visit. Nice one! Not looking forward to my turn! My little addition to this is that we were both extremely proud of her resolve, and will-power. Yes, she got sad, and yes, she pushed the boundaries. But as Mary said, she didn’t once cheat when she thought we weren’t looking, and I hope she also learnt a bit about herself that will stand her in good stead when she’s older. Being able to make a choice, stand up to its consequences, even when no-one else is there, and push through the hard times. You guys really are something special.